I'm about to have dinner with my nephew so this has gotta be quick. He's two and the most adorable little guy ever so he needs my attention and quick! 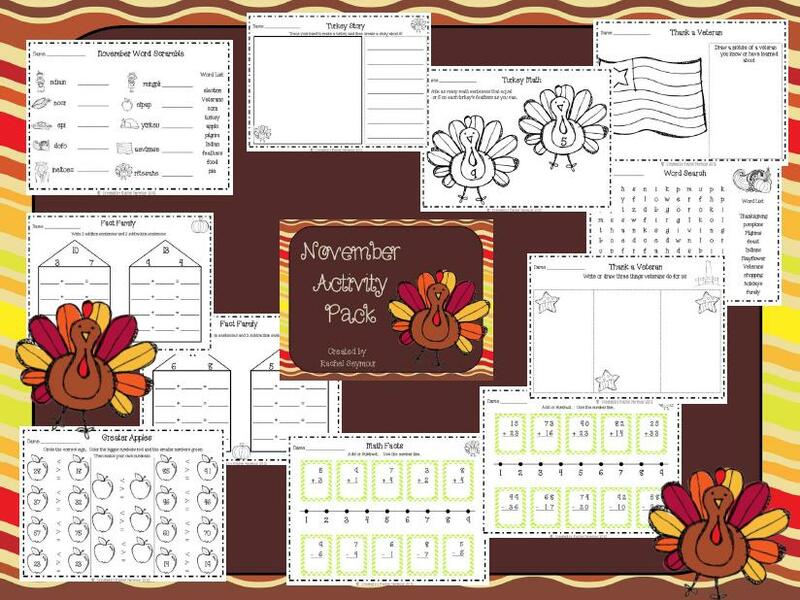 Here is my November Activity Pack. 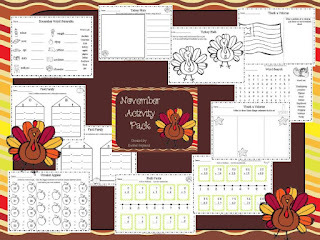 I create a monthly activity pack for my kiddos to do that is a good review of skills and a little fun. 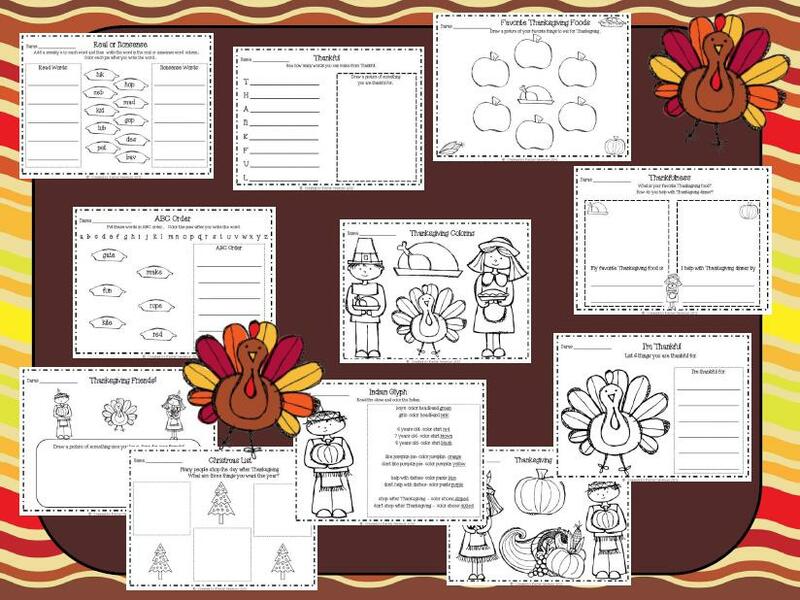 We use it during recess centers and in the morning after their morning work is done. It's nice to have a pack readily available at a moment's notice in case you need it in an emergency! Click on the title picture to go to my TpT store to purchase it for $3.00. I'm going to give it away for free to the *first 5 people* who leave a comment and their email address! 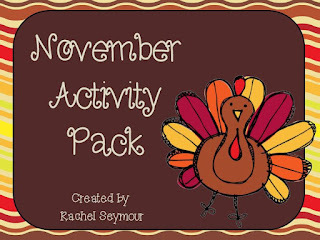 Just share a fun November activity you do with your kiddos! Enjoy!! I would love a copy! Perfect for this month! This is PERFECT for my class!!! Hope you enjoyed dinner with your nephews. I would love a set of this for my special ed. boys!